The Club Carlson hotel loyalty program has a wide array of 5-star properties in some of the best locations around the world. This is especially true in Europe where Radisson Blu is the strongest. Unfortunately, they announced on April 3rd that they were removing the free night for every award stay benefit from their co-branded credit card, taking into effect June 1st. And to add further insult to injury, they announced category changes also taking effect at the same time. With roughly 300,000 points on hand, we knew that we had to spend them quickly. We decided to chase Club Carlson redemptions around the world, staying at some of the fanciest hotels for free. Planning the trip was not a simple optimization. We had to consider where we wanted to go, which hotels had award availability, and what awards flights would get us there. Knowing that we’d get the best value in Europe, we made that our first destination. We luckily found a 20,000 AA Off-Peak award (SFO-LAX-DUS-SZG) and started our trip with 2 nights in Salzburg, retracing the steps of The Sound of Music and Mozart. This was followed by 2 nights in Vienna to visit the former imperial capital of the Austro-Hungarian Empire. After a quick hop from Budapest, we stayed 2 nights in Tel Aviv to position ourselves in Israel. 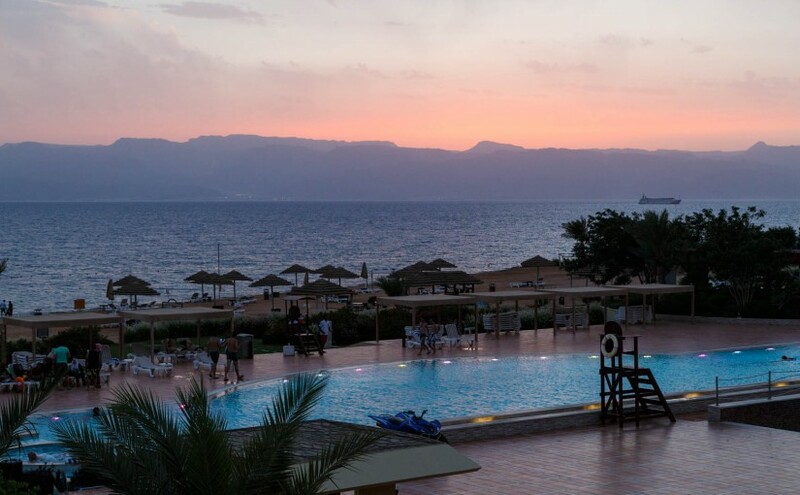 This was the only hotel in the region, so we paid for nights at independent hotels until we crossed the border into Jordan and relaxed in Aqaba, a coastal city on the southern tip of Jordan, for 6 nights. Afterwards, we flew to Bangkok and just enjoyed the cheap food, massages, and haircuts, staying there for 4 nights. Follow me as I review these various hotels and hopefully you find some of this useful and inspirational.